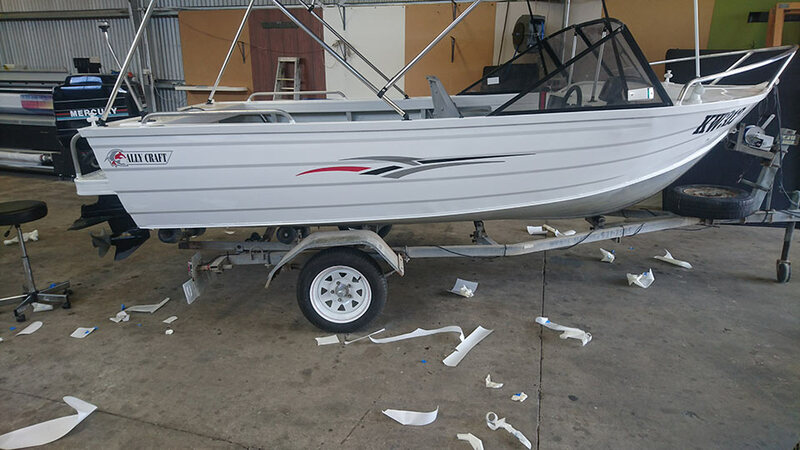 Wrapping your boat is not as common as wrapping your car. 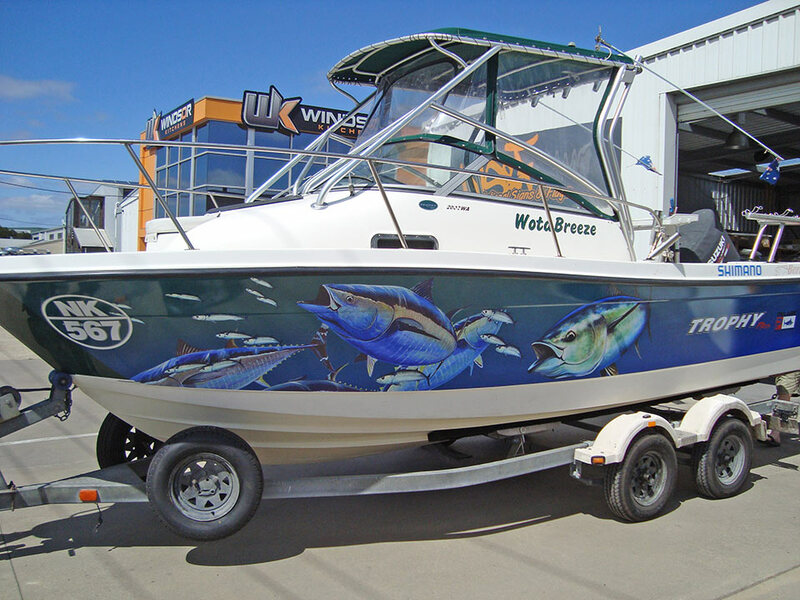 But consider this, when you wrap your boat the exposure to your business is still very high. 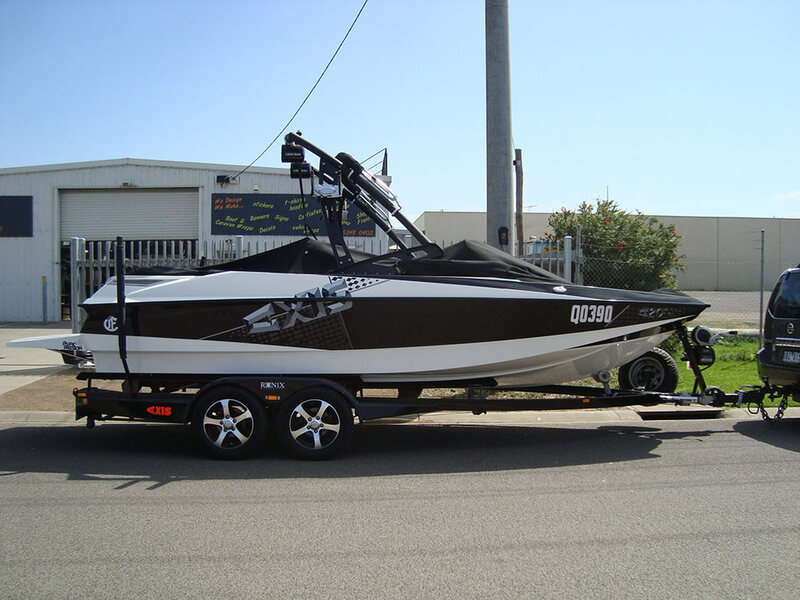 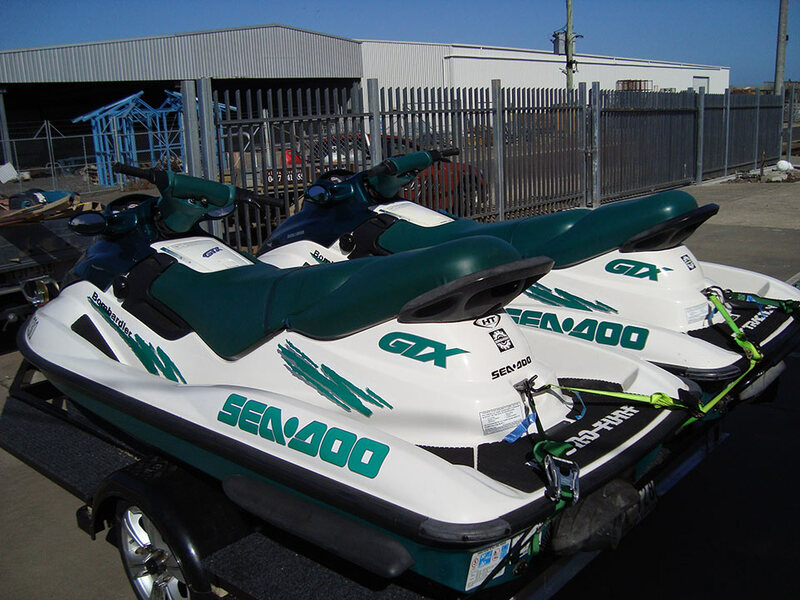 Boats extract attention whether on the water or on the back of your trailer. 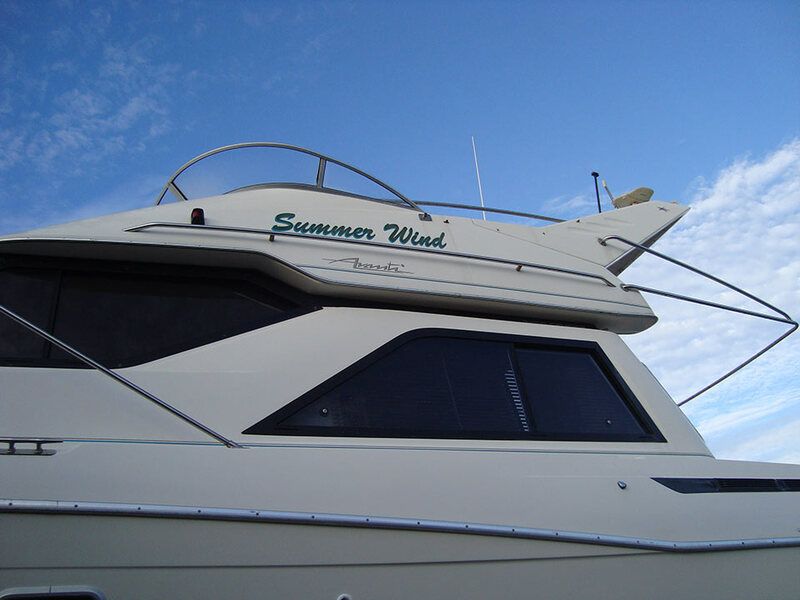 Water vessel signage can be as varied as the types of boats or water craft there is to choose from. 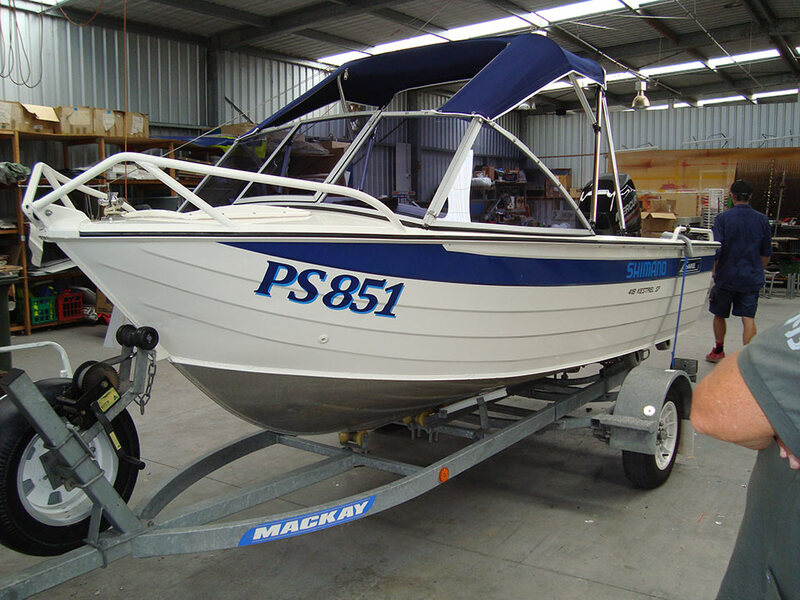 We have completed work on hundreds of boats varying from large fishing boats to small tinnies. 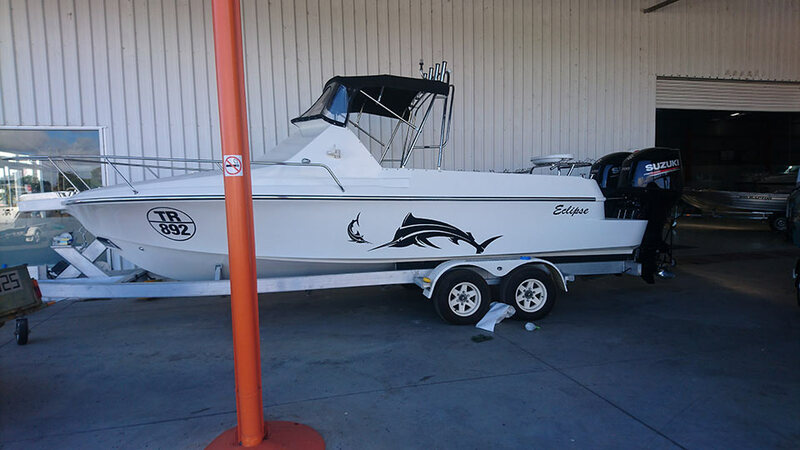 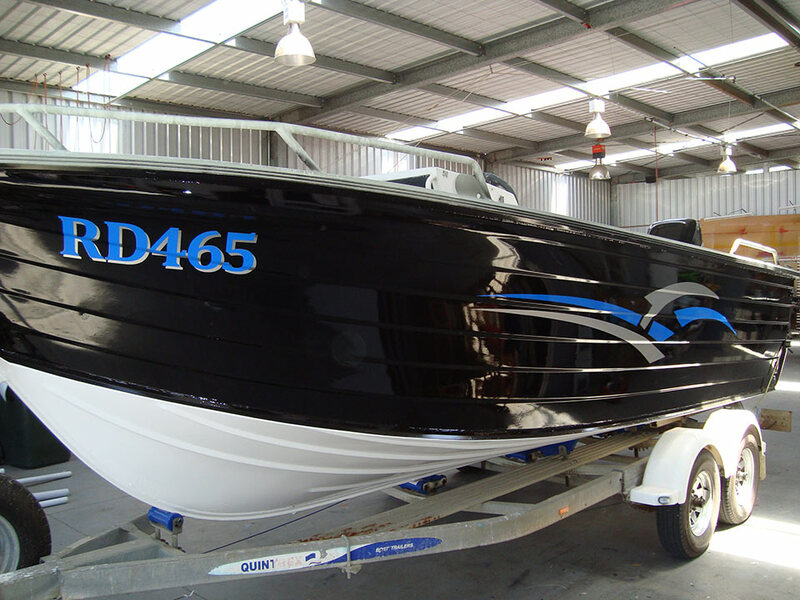 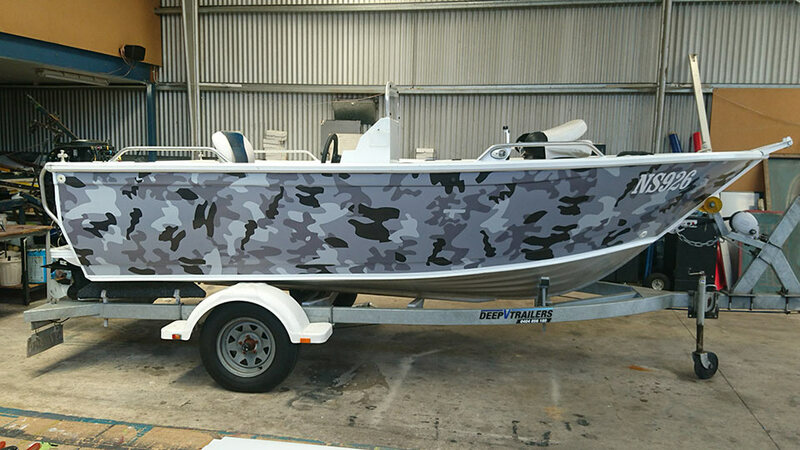 We provide everything from a set of registration labels to boat names and full boat wraps, no job is too big or too small. 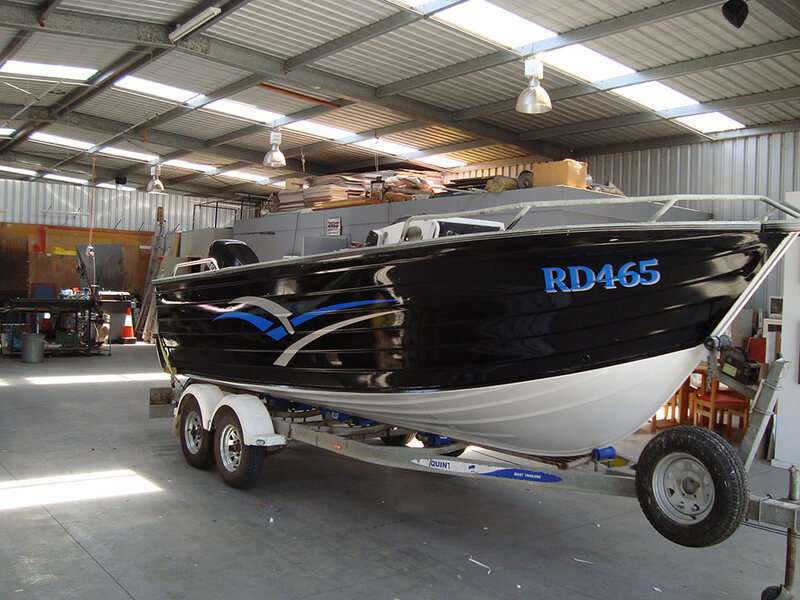 We can even repair or replace pin-striping and all our projects have quick turnaround. 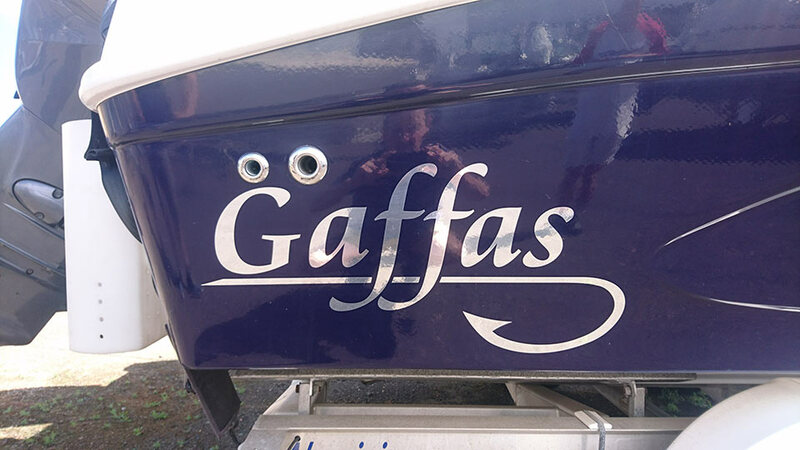 Putting signage on your boat is an effective way of grabbing people’s attention. 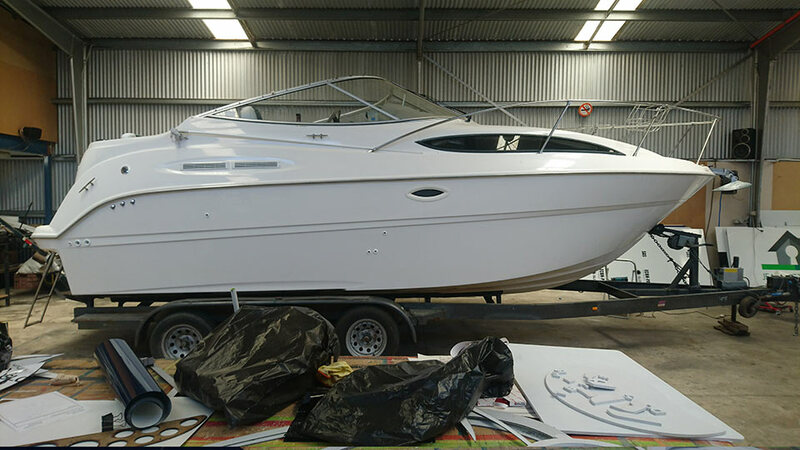 Most boats don’t spend their life on the water, they do spend a fair bit of time on a trailer. 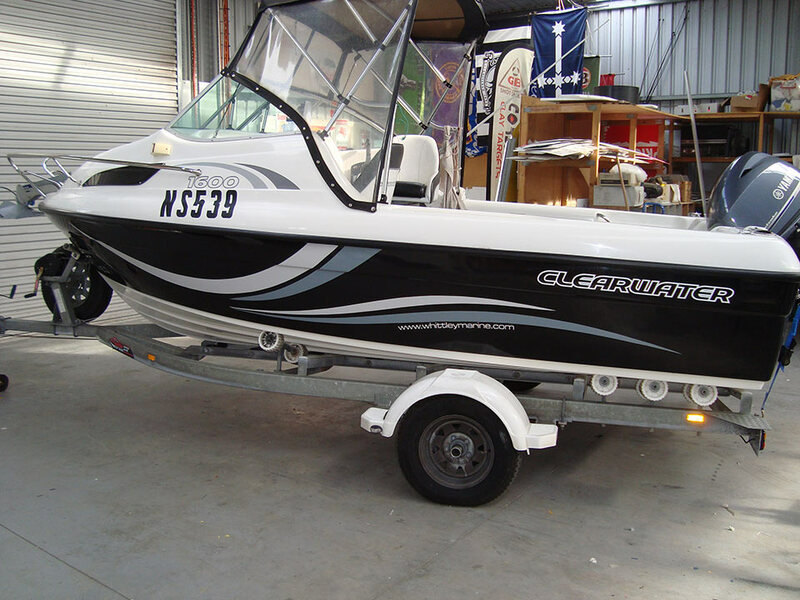 You can bring your boat to us or if your boat is moored we can take the signage and install on site. 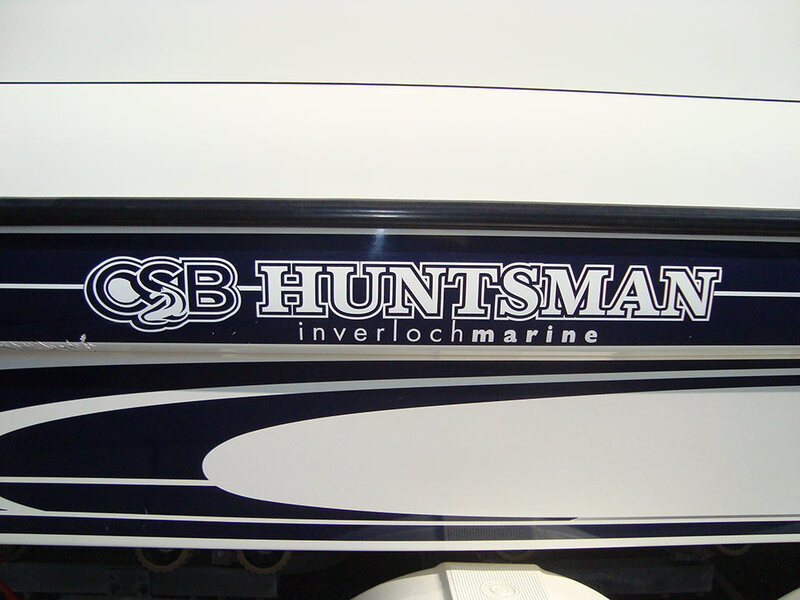 National Signs and Flags has plenty of experience with boat signage, whether your boat spends its life in fresh water or salt water they can be harsh environments which require plenty of consideration about what materials work best. 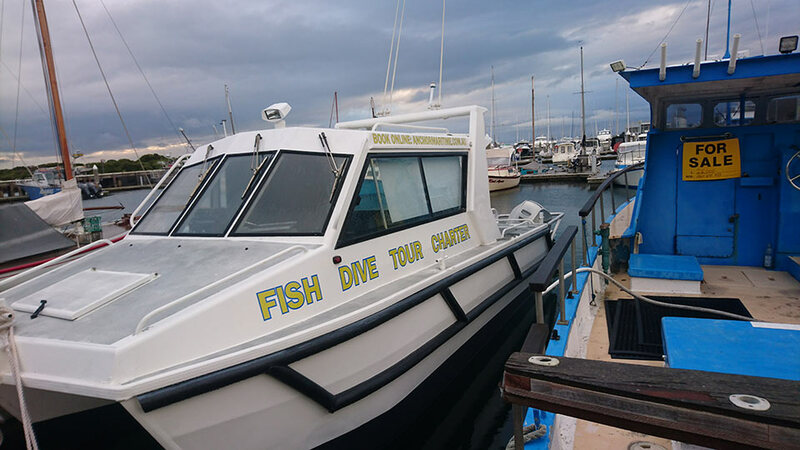 Our boat signage and wraps are completed with high quality vinyl, giving them a greater life expectancy. 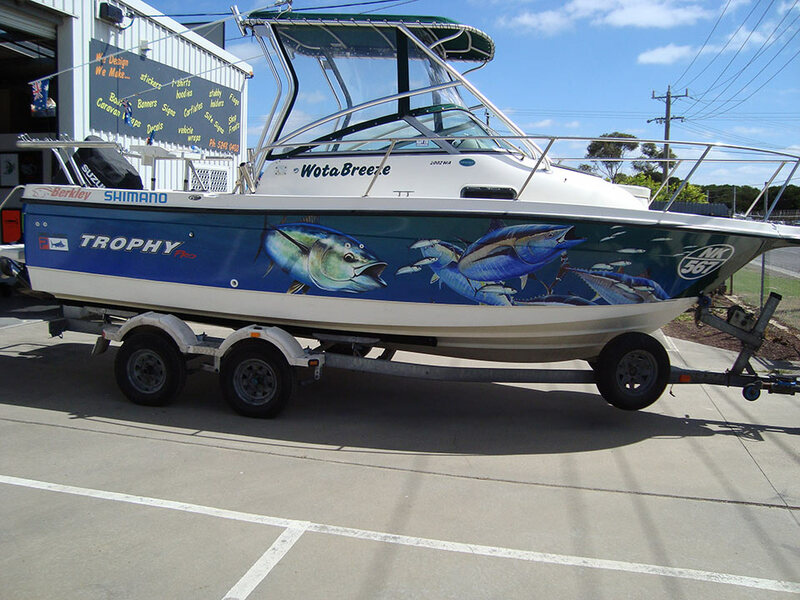 We can print and install the graphics from supplied designs or help you create your design for you. 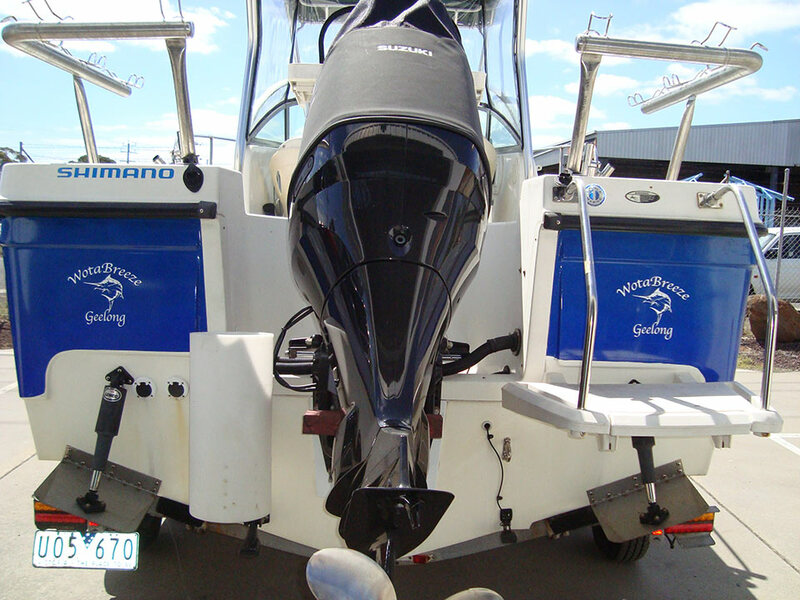 All visible sections of the boat’s hull are covered in vinyl. 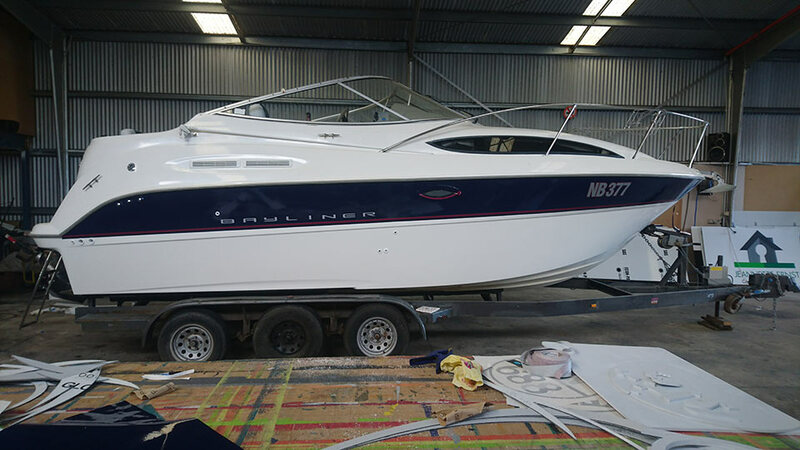 Half of the visible hull will be covered in vinyl. 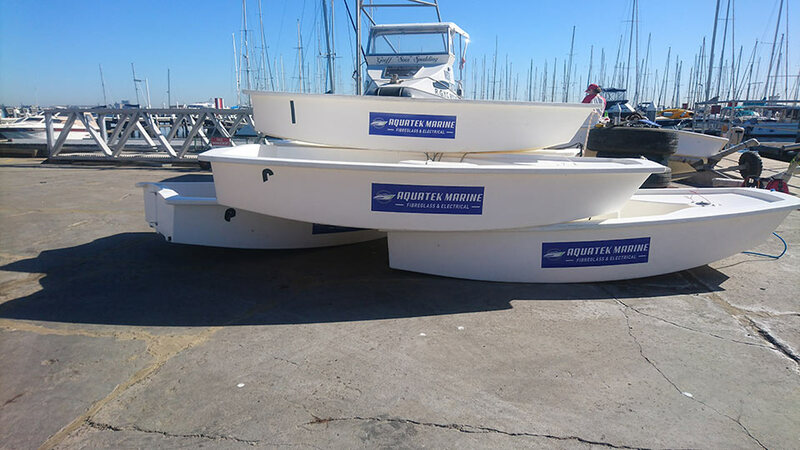 Depending on the size, a small graphics area will usually include the name of the boat. 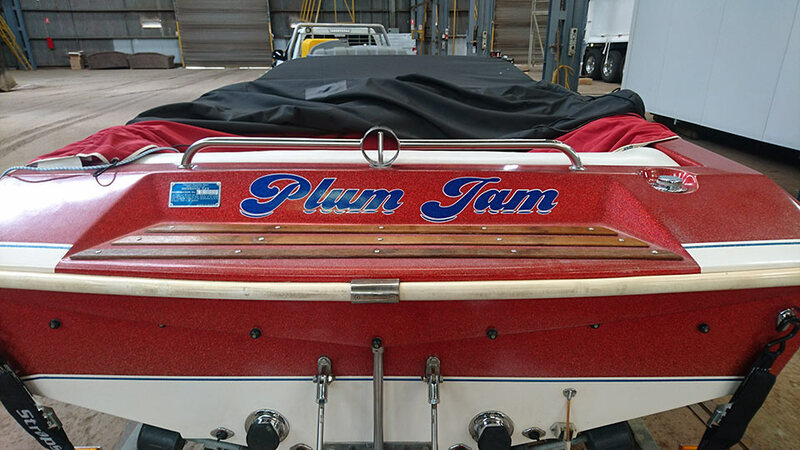 We are happy to do small boat signage also, this could include just your registration number.